Time for a Chrome flavoured ThinkPad? All of a sudden, it seems, Google Chromebooks are the 'in' thing in the computing world and Chinese manufacturer Lenovo says it wants to take a ride on that upward curve. At the ongoing CES 2014 expo, the ThinkPad and IdeaPad maker revealed it has "multiple" models running the Chrome OS in the pipeline, all coming this summer. 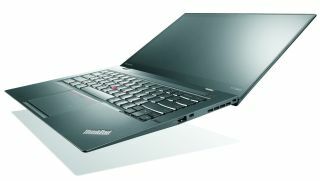 Those laptops, President of Lenovo North America Jay Parker said, will come in a variety of configurations and price points. He told CNET: "I think Chromebooks can be very impactful in the market really quickly. We believe the market will accelerate greatly in the next 12 months." So far, Lenovo's impact in Chromebooks has been limited to models aimed at businesses, but the consumer drive will come as notebooks running Google software really start to make noise. Last month we brought news that Chromebooks accounted for 21 per cent of all laptop sales from January to November last year; a figure which doesn't even count the Christmas rush. With a host of affordable new models just announced at CES, 2014 could be the year Chromebooks step out from the shadow of Windows and Mac and turn the big two into a big three. Speaking of CES 2014, Lenovo has scooped a TechRadar Best of CES gong. Click here to see the winners.